The biggest SNOW STORY of the SEASON!! Peak 6 in Breckenridge is slated for opening in time for the 2013-2014 ski season! 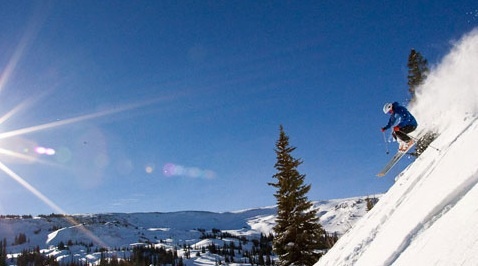 Vail Resorts, Inc. reports that the the Peak 6 project will include 400 acres of lift-served terrain and 143 acres of hike-to terrain, and that the new terrain will include a new high-speed, six-person chairlift and a new fixed-grip chairlift to access the Peak 6 area. In case this doesn’t pump you up enough, you need to check out the video below. And after you check out the video, you need to contact Brent Henry, senior broker, to have a serious discussion on locking in your luxury condo NOW at the finest ski in, ski out resort on the mountain, Grand Lodge on Peak 7! It is the smartest way to have a home away from home with world class amenities, taking advantage of the fractional real estate opportunity that puts a resort of this caliber within reach of your pocketbook. Just fill out the form below and Brent will get back with you with a no obligation consultation on your skier’s paradise needs. For more information on the benefits of fractional real estate, contact Brent Henry, senior broker using the convenient form below. This entry was posted on September 14, 2013 by elevatemarketingaz. It was filed under Breckenridge Colorado Luxury Condo Sales, Breckenridge Luxury Condo Sales, Breckenridge Real Estate, Breckenridge, CO Real Estate, Breckenridge, Colorado Real Estate, Fractional Ownership Real Estate, Fractional Ownership Real Estate Breckenridge CO, Fractional Real Estate Breckenridge, Fractional Real Estate Breckenridge Colorado, Grand Lodge on Peak 7 Breckenridge, Colorado, Luxury Fractional Real Estate, Luxury Fractional Real Estate Breckenridge CO, Luxury Fractional Real Estate Breckenridge Colorado, Real Estate Breckenridge, Real Estate Breckenridge Colorado, Ski In, Ski Out Luxury Condo Breckenridge Co, Ski In, Ski Out Luxury Condo Breckenridge Colorado, Uncategorized and was tagged with #FamilyFun, Breckenridge, Breckenridge Colorado, Breckenridge Colorado accomodations, Breckenridge Colorado condos, Breckenridge Colorado skiing, Breckenridge luxury condo sales, Brent Henry Breckenridge real estate broker, Grand Lodge on Peak 7, luxurious condos, ski out real estate breckenridge colorado, ski_in_ski_out Breckenridge condo.